Periyar National Park is a protected area near Thekkady in Kerala, India. 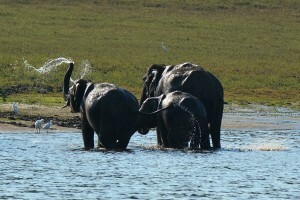 It is notable as an elephant reserve and a tiger reserve. The protected area covers an area of 925 km2 (357 sq mi). 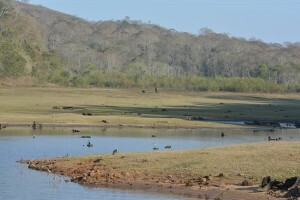 305 km2 (118 sq mi) of the core zone was declared as the Periyar National Park in 1982. The park is a repository of rare, endemic and endangered flora and fauna and forms the major watershed of two important rivers of Kerala, the Periyar and the Pamba. 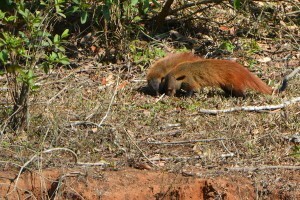 There are 35 species of mammals recorded in the park, including many threatened species. It is an important tiger and elephant reserve. A total of 24 Bengal tigers were counted across 640 square kilometres of the park in 2008. Other mammals include the Indian elephant, gaur, sambar, wild pig, Indian giant squirrel, Travancore flying squirrel, jungle cat, sloth bear, Nilgiri tahr, lion-tailed macaque, Nilgiri langur, Salim Ali's fruit bat, stripe-necked mongoose, and Nilgiri marten. The park is made up of tropical evergreen and moist deciduous forests, grasslands, stands of eucalyptus, and lake and river ecosystems. 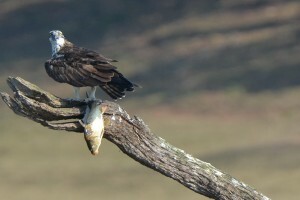 The boat trip on the reservoir provides excellent viewing and provides the opportunity to spend a magical few hours watching a great range of wildlife, birds and mammals, from the comfort of the boat. The animals seem completely undisturbed by the launches as they have become completely used to them. The crew on the boat are very friendly and courteous and help all on board and to get seated. Scattered amongst the passengers are a number of wildlife spotters who are amazing at seeing the animals, pointing them out to all the passengers. 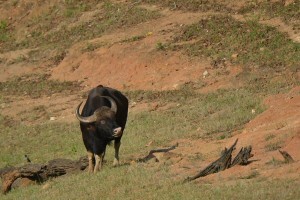 You can expect to see groups of Gaur (wild cattle), elephants as well as wild boar and samba deer. 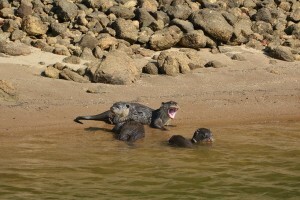 If you are lucky you will see otters and dhole (Indian wild dog). The bird life is also spectacular. 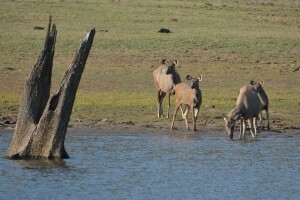 In a short period of time it is possible to see a great range of wildlife, up close, from the cruise boats. If you have more time, consider taking a guided walk in the park. I have not experienced the treks but they are highly rated. I am keen to try one on a future trip as the walks I have experienced in African parks have been fantastic, as you are able to really get a feel for the bush and see, hear, and smell so much more.